Kitty’s Claws: Love is a Battlefield Gacha @ Jackpot Gacha Event! Hi! So I am way behind on this (again work! ), but I am in Jackpot Gacha and my gacha is entitled Love is a Battlefield. It runs until Saturday!! The gacha is L$30 a pull. 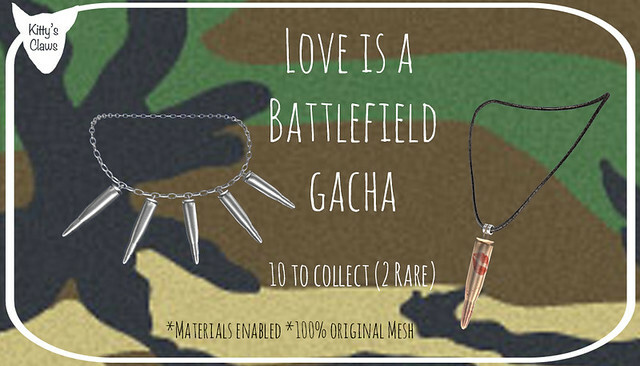 The gacha consists of 10 necklaces, four dog tags with “Love to..” on the front and “…Hate you” on the back. The single bullet necklaces have some smoothes on it. Both come in my four standard metals. 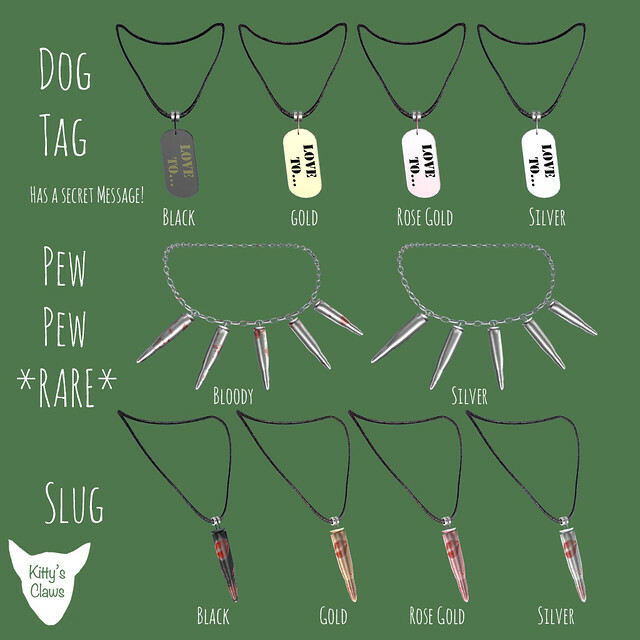 My rares are a multibullet necklace in silver and a bloody version. All of my items are resizable. Lastly, I have a gift of a bracelet with smaller bullets that are mix and match metals (in my standard metal textures). This is resizable via touch. The gift will only be available at the event and won’t be sold after the event.